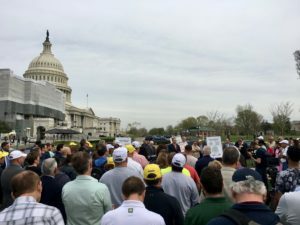 Yesterday, in front of the U.S. Capitol, eight Members of Congress, flanked by hundreds of seasonal employers, thanked the Trump Administration for their recent release of 30,000 H-2B visas and called on Congress to permanently increase the H-2B visa cap and reform the program. 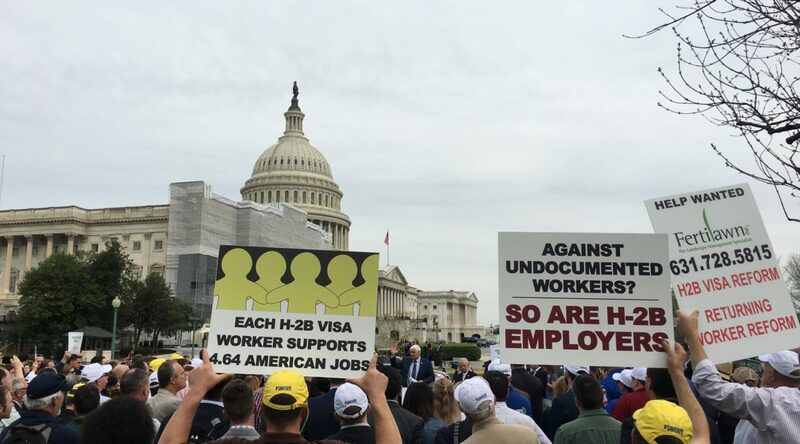 Due to the cap of 66,000 visas, thousands of seasonal employers with a spring and summer date of need have been denied access to the H-2B program. The inability to bring in H-2B workers to supplement their U.S. workforces has led to small, seasonal businesses canceling contracts, laying off their full-time, year-round U.S. workers and forgoing equipment purchases. We could not agree more Congressman Zeldin. It is time for Congress to provide permanent cap relief to the thousands of seasonal businesses who are committed to obeying the law and hiring Americans first. Seasonal businesses who refuse to hire undocumented workers cannot continue to face the uncertainty each spring of not knowing if they will have a workforce to operate their businesses. The time is now to fix the program once and for all!